Bankruptcy and financial problems can be scary. And you don’t realize how terrifying financial problems can be until you’ve been there yourself. I was chatting with my friend and colleague, Lexington bankruptcy lawyer Lex Rogerson, tonight. We began discussing some of the emotional aspects of filing bankruptcy and some of the feelings our clients were experiencing. Lex practices in the Columbia area, and I’m obviously here in Charleston, but bankruptcy clients all over South Carolina seem to be feeling the same emotion: Fear. And our discussion got me thinking about my own financial history. I’ve never filed bankruptcy–other than for clients, that is. But I’ve had financial problems. I vividly remember graduating from law school back in 1993 with lots of student loans, a car loan, and a wife and new baby to support.Thankfully, I got a job clerking for a judge in Michigan, and the pay wasn’t bad. Still, with the car loan, rent to pay, credit cards, student loans, and baby expenses, life was stressful. There wasn’t a dime to spare, and our little family lived paycheck to paycheck. Thankfully, I got a job clerking for a judge in Michigan, and the pay wasn’t bad. Still, with the car loan, rent to pay, credit cards, student loans, and baby expenses, life was stressful. There wasn’t a dime to spare, and our little family lived paycheck to paycheck. I remember worrying about finances. I remember not being able to sleep. I remember wondering how we’d make ends meet. And I had a fear of the future. If you’ve had financial problems, you know what I mean. After my clerkship ended, I went into private practice and, like any newly-minted lawyer, really didn’t know how to practice law. I had no clients and still had the car loan, rent, student loans, credit cards, baby, and all the other living expenses. Only now that I’d finally made it to private practice, I had no idea how much money I’d earn. No more steady paycheck for me! More stress and worry. Fortunately, the practice grew, and we made it. My point is not to bore you with my life history. But I do want you to know I’ve been there. Maybe I haven’t been in a mess like you’re in, but I’ve experienced financial stress and know it’s not fun. 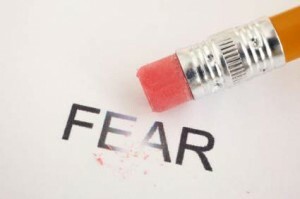 The important thing is not to allow fear to paralyze you. I meet with people almost weekly who’ve been growing what I call the “debt tumor” for years. They couldn’t pay, but still they did nothing to address their financial problems for a long time–sometimes several years. Fear stopped them from taking action. This great Nation will endure as it has endured, will revive and will prosper. So, first of all, let me assert my firm belief that the only thing we have to fear is fear itself–”nameless, unreasoning, unjustified terror which paralyzes needed efforts to convert retreat into advance. In every dark hour of our national life a leadership of frankness and vigor has met with that understanding and support of the people themselves which is essential to victory. I am convinced that you will again give that support to leadership in these critical days. In such a spirit on my part and on yours, we face our common difficulties. They concern, thank God, only material things. Values have shrunken to fantastic levels; taxes have risen; our ability to pay has fallen; government of all kinds is faced by serious curtailment of income; the means of exchange are frozen in the currents of trade; the withered leaves of industrial enterprise lie on every side; farmers find no markets for their produce; the savings of many years in thousands of families are gone. Many of you face the same “practices of the unscrupulous money changers” that now “stand indicted in the court of public opinion, rejected by the hearts and minds of men.” You can’t see your way out. Now, like then, “the money changers have fled from their high seats in the temple of our civilization” and left a financial mess. But fear doesn’t help deal with the mess; it just prolongs it. And now, like then, the greatest enemy is fear. Don’t let it “paralyze needed efforts to convert retreat into advance.” Never let it control you.